According to Dr. D’Adamo, Type ABs have low stomach acid but an adaptation to meats, so they lack enough stomach acid to metabolize meat efficiently, and it ends up being stored as fat. Those with Type AB blood type should avoid caffeine and alcohol, especially when in a stressful situation. Dr. D’Adamo recommends foods such as tofu, seafood, dairy and green vegetables for weight loss. “Avoid all smoked or cured meats,” he adds. “These foods can cause stomach cancer in people with low levels of stomach acid.” Smaller, more frequent meals can counteract digestive problems in Type ABs. 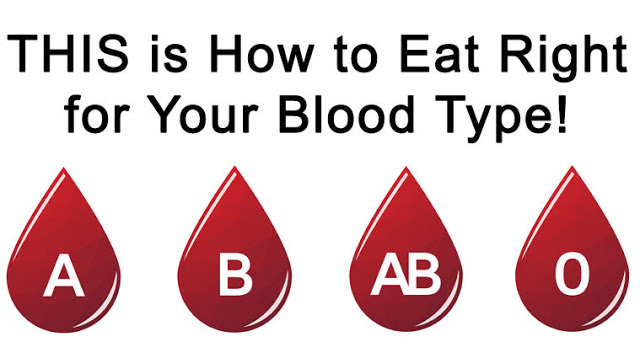 Check out the video below for more information on how your blood type can determine the best diet for you!